Foreign Room: Sephora $25 Giveaway! Hello friends. 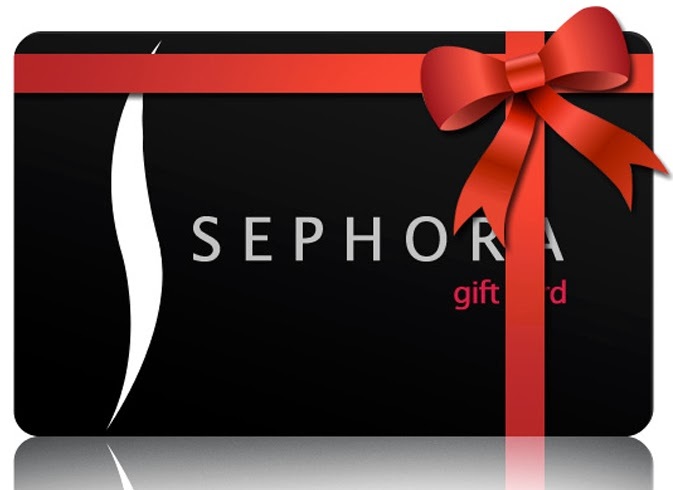 With the spirit of the holidays alive and well, Miss Ashley Leona of Leona Lovely and I are giving away a $25 gift card to Sephora! This is definitely one of the best times of the year to win a lovely prize like this, as I have been in Sephora twice this past week and people are going CRAZY over the release of the highly anticipated Naked 3 eyeshadow palette. I was undecided about it (I already have the first palette), but after taking a peek the other night when they had just gotten their shipment in, I couldn't resist and quickly snatched one up for myself! A coupon didn't hurt either :) I haven't gotten to try it out yet, but I am super excited, as I think the rosy tones will complement my blue eyes well. Maybe if I find some nice color combos, I will share :) You can also check out a little tutorial Ashley Leona found here. So, what are you waiting for? Enter to win a $25 gift card to spoil yourself just a little among all the shopping for and loving on others! I definitely want one of the Naked Pallets. Thank you.